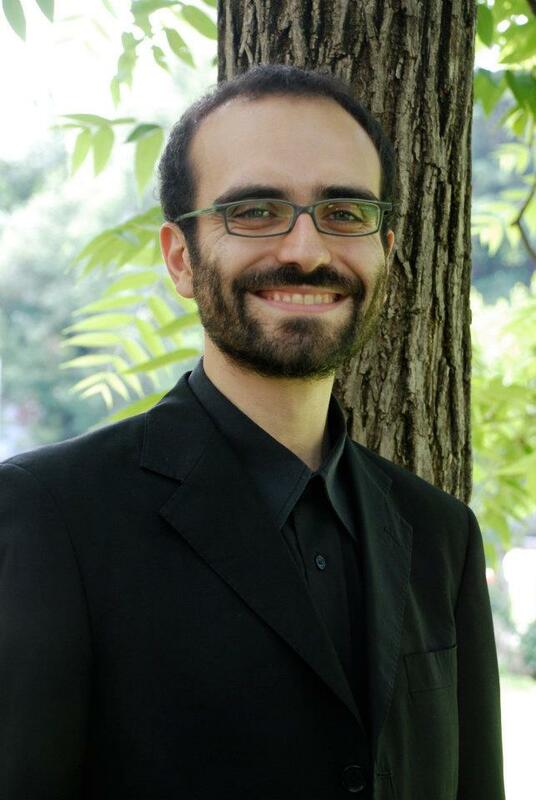 A graduate at Conservatorio S.Cecilia in Roma, Luca has also attended masterclasses on madrigal singing with Alessandro Quarta and Rinaldo Alessandrini in Urbino (International Courses of Early Music – Monteverdi’s monody). In 2007, he was among the winners of the “Monteverdi Competition” for the Centenary of Orfeo in Mantua, which led him to perform the opera in Praga’s National Theatre. He sang for several years in Philippe Herreweghe’s Collegium Vocale Gent. In 2011, he took part in Sigiswald Kuijken’s challenging rendition of Bach’s B-minor Mass, performed one voice per part. In the same year, he co-founded the AbChordis ensemble, with which he sang in many prestigious festivals including Ambronay Festival, Valletta International Baroque Festival, Les Riches Heures de Valère, Pavia Barocca, Urbino Musica Antica, Mars en Baroque, AnimaMea. In 2013, he sang in Perez’s Mattutino de’ morti and Mozart’s Vesperae solennes de confessore with Giulio Prandi’s Ghislieri Choir&Consort. A member of Alessandro Quarta’s Concerto Romano ensemble, he was Jonas in Carissimi’s eponymous oratorio (Wiener Konzerthaus, Mozart-Saal) as well as Giuseppe d’Arimatea in Pasquini’s La sete di Christo, presented on three different occasions for major European festivals. With the same ensemble, he also sang as Oloferne in Scarlatti’s “Giuditta” at Teatro Olimpico in Rome (2014), Inverno in La Gloria di Primavera, again at Wiener Konzerthaus (Grosser Saal, 2015), and Consigliero in Stradella’s San Giovanni Battista at Teatro Argentina, Rome (2016). He has worked with Rinaldo Alessandrini and his Concerto Italiano, with whom he sang as Anfinomo in Monteverdi’s Il ritorno d’Ulisse in Patria (Teatro Regio, Turin). In Concerto Italiano’s Korian tour he also sang Vespro di San Marco (Burgos, Spain) and Vespro della Beata Vergine. In 2016 he was Monostato in the Italian version of Die Zauberflote at Teatro Costanzi in Rome. With Claudio Cavina’s Venexiana ensemble he toured in Japan, performing madrigals by Monteverdi and Gesualdo. In 2015 he was Teofilo in Stradella’s San Giovanni Crisostomo with Andrea De Carlo’s Mare Nostrum ensemble, with which he also sang in Stradella’s Santa Pelagia, the year after. With Antonio Florio and his Cappella Neapolitana he performed and recorded for Glossa La Passione secondo Giovanni by Gaetano Veneziano, in 2016. In April 2016, he was San Giovanni in Handel’s Resurrezione, performed and recorded by the Swiss Radio RSI with Diego Fasolis and I Barocchisti. In December 2016, he took part in Diego Carmini’s contemporary opera Un’infinita primavera attendo, with Filarmonica Romana. Luca has recorded for Christophorus, Arcana, Glossa and Sony DHM.